Considering debt settlement? Negotiate and Settle Your Debts guides you to an extremely inexpensive way to do your own negotiating and settling of credit card debt. Also included are what the banks are accepting as settlements as of December 2012. Save thousands of dollars and improve the quality of your life with this very informative gem of a book. 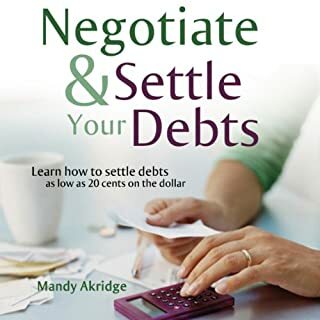 Contents include sample debt settlement letters, instructions on the timelines, how and when to start negotiating with your creditors, and much more. Deciding whether or not to declare Chapter 7 bankruptcy can be a complicated decision, involving the careful balance of many factors. 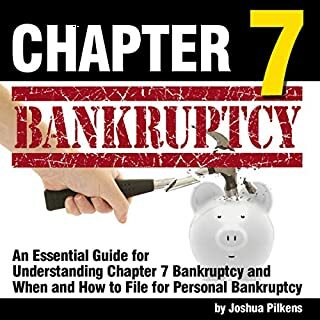 Despite some obvious setbacks, filing for Chapter 7 bankruptcy is sometimes the right move to make, as long as you're aware of the implications and fully understand the procedure involved. Discover all the ins-and-outs of filing for Chapter 7 bankruptcy in this easy-to-understand guide. The DebtClear Roadmap will teach you how to clear you debt for pennies on the dollar, protect your assets, fight creditor harassment and lawsuits, and restore your credit rating. The book comes with a 500 percent limited money back guarantee if you don't reduce your debt by over 80 percent! 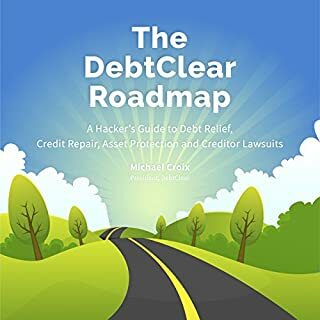 Author and president of DebtClear.com Michael Croix draws on nearly a decade working in the debt relief and credit repair industries, as well as his own experience eliminating over $90,000 in personal credit card debt. 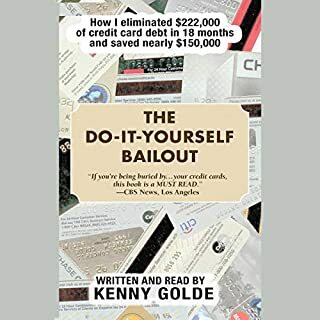 In The Do-It-Yourself Bailout, author Kenny Golde explains how he completely and legally eliminated $222,000 in credit card debt, without filing for bankruptcy or destroying his credit score. Golde provides a step-by-step handbook on all facets of how to initiate settlement negotiations with banks, how to handle collection agencies, how to separate your emotions from your debt, and much, much more. This book is full of unknown information that has never been released to the public. It contains detailed information about the credit bureaus and how their database operates. Anyone who has good or bad credit should listen to this book. 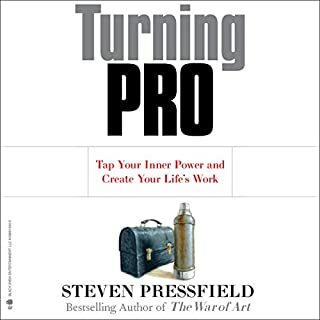 This book takes an inside look at the tactics that can be used for individuals seeking to get ahead in life without the use of credit repair or debt consolidation companies. If you ever wanted to know about the secrets of the credit bureaus, I stress that you listen to this book. In difficult times, debt can be a matter of life and death, happiness and despair. Controlling debt can bring order and calm. Mastering debt can bring wealth and success. As bestselling Rich Dad Poor Dad author Robert Kiyosaki says, "Good debt makes you rich and bad debt makes you poor." The ABCs of Getting Out of Debt provides the necessary knowledge to navigate through a very challenging credit environment. 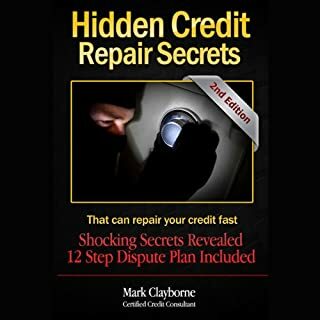 Hidden Secrets The Credit Bureaus Don't Want You To Know reveals the secrets and tactics that the credit bureaus have tried to keep secret for years. Mr. Nelson uncovers some of the greatest credit score myths in a way that is easy for readers to understand along with several proven, legal strategies that readers can rely on to legally remove any type of adverse credit from their consumer credit reports at lightening speed. Good advice, Worth the time spent. In today's challenging job-market, the time-tested advice of What Color Is Your Parachute? is needed more than ever. Recent grads facing a tough economic landscape, workers laid off mid-career, and people searching for an inspiring work-life change all look to career guru Richard N. Bolles for support, encouragement, and advice on which job-hunt strategies work - and which don't. This revised edition combines classic elements like the famed Flower Exercise with updated tips on social media and search tactics. In this book, Tom shares what the banks and collections agencies don't want you to know - how to settle your credit card debt at an 80% discount with a 5 minute phone call. Entrepreneur and investor Tom Corson-Knowles shares his point of view as the owner of a credit card debt buying company. Having worked with hundreds of consumers in credit card debt, Tom has seen first-hand the mistakes people make that get them into debt - and keep them stuck there. Jorge Newbery erased his debts without filing bankruptcy. Now you can, too. Like many Americans, Newbery struggled with debt. But unlike most people, he owed more than $26 million. Creditors swarmed after a natural disaster devastated his multimillion-dollar business. The stress was crushing. He needed a way out - and what he discovered will amaze you. His breakthrough came practically by accident. One of his creditors made a sloppy legal mistake, and he battled the creditor all the way to the Missouri Court of Appeals. The court ruled that the entire debt - nearly $6 million - was "inadvertently extinguished". It didn't have to be paid. It was completely eliminated. 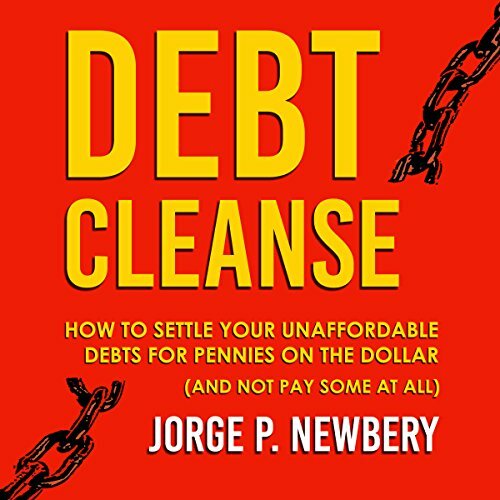 Newbery applied the powerful techniques he had learned to all his other debts. The results were astonishing. One after another, his debts were either settled or gone forever. Assert your rights and defend yourself against creditors. Stop making payments - and turn that to your advantage. Dispute your debts to stack the odds in your favor. Uncover deficiencies that can put money in your pocket. Protect your assets from creditors (100 percent legally). Negotiate the best possible settlements. Be debt free for life. Debt Cleanse shows you how to gain leverage over your creditors. You can settle your unaffordable debts for pennies on the dollar - and not pay some at all. Don't let your debt burden you one more day. This book will set you free.